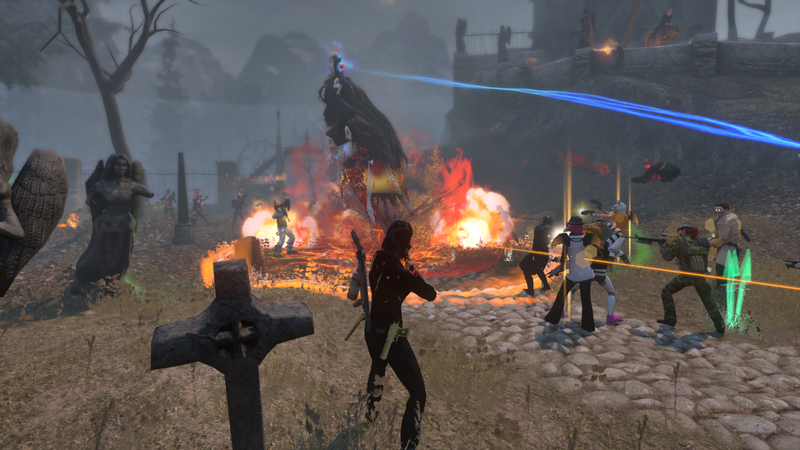 When last I discussed this year’s Halloween event in The Secret World, I pointed out that we had yet to see the whole event and that my opinion of it might change once we had. We now have explored the mystery of the Rider in its entirety, and I do find my view of the event has shifted. Largely for the better. I’m not going to explain every stage of the event in its entirety, because I have other things to do today. If you want to understand the event and all it’s entailed, I direct you to the official forums. The meat of it involves world bosses. Every half hour, the Rider will appear in a certain zone, spawning event-specific mobs throughout the zone. Slaying all these mobs before the Rider moves on to the next zone will summon a manifestation. 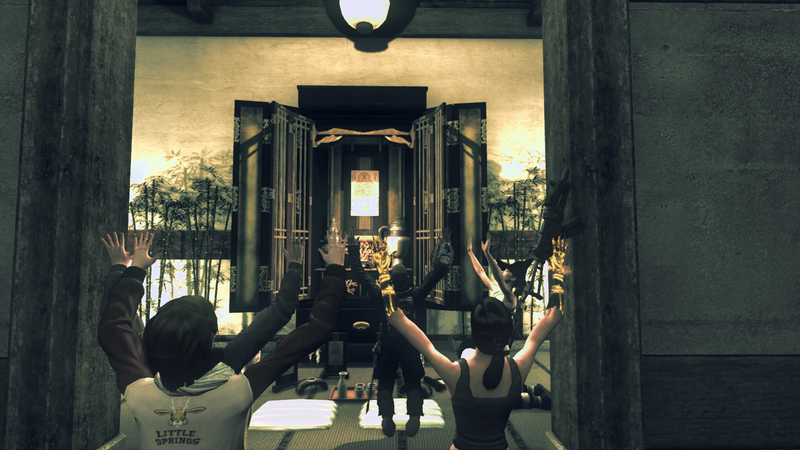 However, as we discovered halfway through the event, if a number of players use the /worship emote at specific points around the zone while one player utilizes various event drops at the Rider just as the last mobs are killed, you can enact a ritual to summon an empowered version of the manifestation, which drops improved loot. The empowered bosses also dropped clues that led to the next few stages of the event, ultimately culminating in the Rider making an appearance in Agartha, where he will stay until the end of the event on 8th. If you /bow to him, you get his mask. It’s not a perfect event, and there are legitimate criticisms to be made. What’s bothering me the most right now is how low the drop rates for the new cosmetics are. Given how much work empowered manifestations are to summon and kill, you’d think the drop rates would be a bit more generous. I’ve yet to see a single drop of any of the new fiery eyes items, and the prices for them at auction are usually extortionate. Still, the event has grown on me. The summoning rituals are a lot of work, but the community is adapting to it incredibly well. In the space of a few days we’ve gone from running around like headless chickens to a (mostly) well-oiled machine that (almost) always successfully completes the summon. 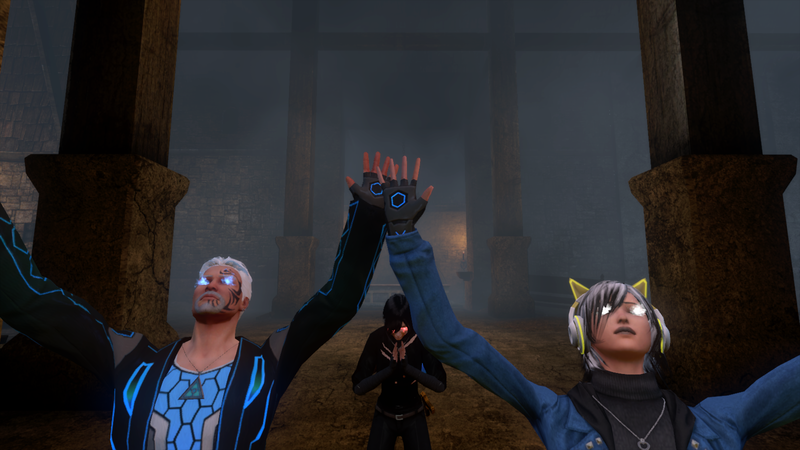 It is does speak very well of the TSW community. I’m mostly pretty cynical about gaming communities in general, but the amount of cooperation TSW’s players have displayed is impressive. In most other games this would probably be much more of a horror show. Initially I found the summoning process tedious, and to some extent it still is, but it does feel good to be part of something greater. It’s gratifying to see a boss spawn and know that you had a hand in bringing it forth. Even one of the more annoying aspects of the event, the fact that the lore is not a guaranteed drop, has been greatly mitigated by the community. When a lore piece does drop, someone will usually do a call-out in event chat so everyone can come and collect it. Sometimes that person is even me. Also, while my own contributions on the matter were virtually non-existent, it was fascinating to watch the mystery unfold, to see the community fall ever deeper down the rabbit hole. I have to wonder if this event is actually a fulfillment of a long-held promise, that of the puzzle raid. Puzzle raids are something Funcom has been promising since the game launched, but which have never materialized. We’ve never gotten a terribly clear picture what they’ll look like, but the general impression was that they would be similar to investigation missions, but on a much larger scale — something requiring mass cooperation by many players. Sort of like the Rider event. There has been a lot of wailing and gnashing of teeth over datamining in relation to the event, but it seems like a manufactured controversy to me. To be clear, it is true that a small number of players did datamine the event’s details in their entirety, but I’ve not seen any hard evidence they actually influenced how the event played out. Aside from one or two people on the forums spewing off conspiracy theories and calling everyone sheep, all indications are the community solved everything legitimately. From my perspective, it’s been an intriguing mystery, and a great way to bring the community together, and while it’s a long way from perfect, I’m glad to see Funcom is still capable of ambitious, out of the box thinking. Playing MMOs can sometimes be something of an awkward fit for someone as antisocial as me, but at times like this I’m really glad I do. Seeing hundreds of people working together in common cause to orchestrate the summoning rituals is unlike anything you will ever experience in single-player games. There is something truly special about events like this, and I always feel privileged to be a part of them. In time, I know I’ll forget the annoyances of this event, but the fond memories of mystery and cooperation will remain for many years to come. Well written up. You both caught my initial feelings, and how i feel by now. When the event launched it felt like it was all over my head. It seemed like a jumbled mess where i’d have not the slightest chance to figure it out on time. Now, despite having been ill for a few days and thus completely out of the loop, i came to return to the game and the great community, once again, fixed things and everything is great. I don’t know what to rate higher. Is it the confidence FunCom has in their playerbase, that they can give them really hard and complex riddles, instead of the handholding you see in other MMOs, where players may only be challenged on a mechanical (combat skill) level, but not on a mental level? Or is it the fact that the community once again rose to the challenge and showed that the confidence is justified, that (seemingly unlike the community of other MMOs) these people are able to handle and solve such riddles? Nice post-mortem of the event. I hope if they do have some kind of follow up or similar thing planned for the winter event, they learn from this experience and iron out the slight annoyances that we encountered.